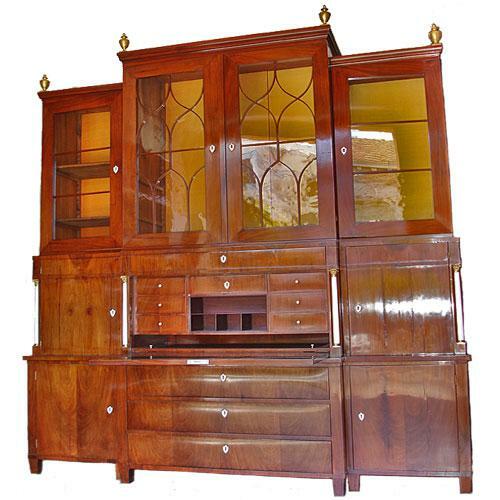 A 19th Century German Biedermeier Mahogany Breakfront Bureau No. 2968 - C. Mariani Antiques, Restoration & Custom, San Francisco, CA. 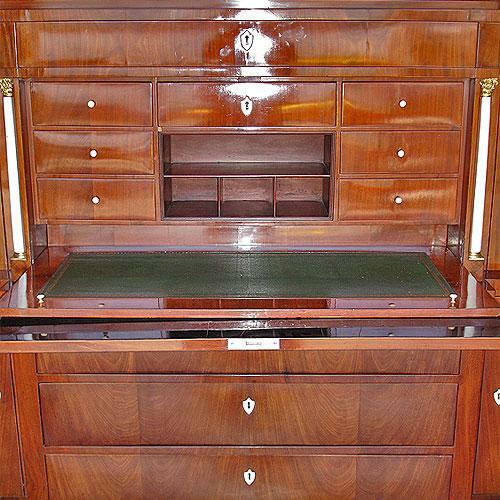 Height to Crown: 102 1/2"; Height to Finial: 5 1/2"; Width: 91"; Depth at Center: 25"; Depth of Outer Cabinets: 21 1/2"